In the first Christmas of World War 1 in 1914, opposing German, British and French soldiers in their thousands suddenly came out of their frozen trenches into No Man’s Land and engaged in an officially unauthorised but widespread socialising, exchanging seasonal greetings, gifts, food, tobacco, souvenirs, singing carols, playing football matches, until their frowning High Commands, frightened by this ‘sinister’ and embarrassing pacifist behaviour, soon put an end to such cordial inter-mingling among sworn enemies. The recent three-day ceasefire in Afghanistan over Eidul Fitr also produced similar astonishing scenes of friendship, happiness, embraces, trust, amity, and unrestrained rejoicing between Taliban fighters, Afghan forces and civilians alike, with the Afghan interior minister also posing for selfies with the hated foe, along with the hearty hugs and handshakes, all round, of ordinary Afghans. Reportedly, around 30,000 Taliban fighters deposited their weapons at the entrance of various cities, and tasted the joys and comforts of city life once again, while other Afghans got an opportunity to visit their relatives in Taliban-controlled villages during the short lull, in a truce scrupulously observed by both sides while it lasted. This time, it was the Taliban commanders who displayed anger at this carefree and open mixing of their brainwashed, fierce foot soldiers with the enemy, which in fact exposed the war-weariness and yearning for peace of Taliban rank and file, and this surprise development must be advanced by US willingness to ‘support, facilitate, and participate’ in future peace discussions. Worryingly, the rising IS rang Afghan and regional warning bells by carrying out two ‘spoiler’ terror attacks in eastern Afghanistan over the weekend, extracting a combined deadly toll of 54 dead and about 115 wounded, including some Taliban. Pakistan’s Enemy Number One’, Mulla Fazlullah, has since been eliminated in a US drone strike on June 13, but ‘after the feast comes the bill’, and the bill will no doubt include a head receipt for Haqqani Network. 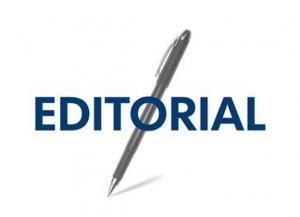 Islamabad should read the writing on the wall and redouble its efforts towards an honourable, lasting Afghan settlement, which also best serves its purpose. The tantalising taste of peace must not be so short-lived.